We were driving through Sedona and stopped into some sort of Big Box Store to pick up some rubber beach shoes so that we could take the kids to Slide Rock. We met a nice, older lady at the checkout and – as I tend to do with anybody and everybody – we got chatting. She said that she moved to Sedona now that she is retired! Retired?! Hang about, I thought, isn’t she standing at the cash register swiping my credit card? Perhaps, reading my mind (more likely, the expression on my face), she clarified: she moved to Sedona when she retired from full-time work, and now that she is ‘retired’ (there it is again!) she only works part-time. Why is that when you are studying – or perhaps slowly returning to the workforce post-parenthood – you are happy to tell your friends that you are “working part-time”. But, when you reach 65 and suddenly find that you still need to work (perhaps with reduced hours, or in some sort of micro-business that you set up for yourself) you are “retired” or you are in that even less definable state of “semi-retirement”? In fact, there are whole websites and books devoted to the subject of semi-retirement. One of those books is “Work Less, Live More” by Bob Clyatt; I bought it on the recommendation of Jacob from Early Retirement Extreme (he left a comment on this post) … I’ll be commenting on one specific aspect of this book (in fact, the very aspect that prompted Jacob to recommend it to me ) in an upcoming post. In the meantime, Bob did confirm that I am not retired … I am semi-retired. According to Bob, I am semi-retired because I do various income-earning activities: I still own a business; I own two development sites (and, am going though the process of having development plans approved by council); I have started an angel investing incubator (or, at least, started to put the foundations in place); have a web 2.0 startup and a book well under development. But, if I am doing these things because I am a hobbyist, am I any different from the guy who is game fishing every other day as a hobby? But, if I am game fishing every other day because I need the income (e.g. I take some paying clients out on my boat, or I sell the fish), am I any different to the guy who needs to have a part-time business – or blogs – because he needs the money? In other words, isn’t the difference between working part-time and being semi-retired the need to bring in income from the activities that you undertake? Doesn’t that change the dynamic just a little? Even though he may enjoy the core activity, isn’t the part-time game fisherman who needs the money a little bit more upset when a trip is canceled due to bad weather (or customer cancelation) than the guy who is doing it purely because of his love of the sport? 1. If you are retired, you don’t need the money – you just do stuff for fun. 2. If you need the money, you aren’t retired, you are [insert activity of choice: writing a book; blogging; game fishing; real-estate developing; etc.] part-time. The day that I need to consult to top up the income from my investments is the day that I am no longer just having fun: I’m working part-time. How about you? Where do you draw the line between work and retirement? And, does it even matter? This entry was posted in retirement and tagged 7million, 7million7years, Investing, retirement by Adrian. Bookmark the permalink. I think so much of the world is caught up in what’s been sold to us about the idea of ‘retirement’ from cultures past. A lot of older people for example are living by the government-sold idea that retirement is working until your 65 at some company or organization(that you may not like at all) and then when you are ‘eligible’ for social security benefits, or perhaps you’ve reached that magic number of work years in your profession(20 years, 30 years at the company, government institution, etc..) that you are ‘retired’, meaning that you pull some form of a “check” for the rest of your life(whether or not this check is even enough to support you or your family’s life or not). To be honest, I really don’t like the word “retire” at all. I never have. The word sort of signifies that you are done, you are on the shelf, hung out to dry, simply too old or of no use or benefit in the workplace or service to others anymore and possibly even a hinderance. My question to someone who still thinks that way, or has let the government or pop culture eat away at their brain and implant this old-school thought or image in there is: Who decided this for you? Did YOU decide you were all done up? Put out to Pasture? “Retired”? I think the idea of retirement is very foolish and in fact, dangerous. I think a person should instead think that they’ll retire after they take their last breath. Instead, I believe it’s smarter to move toward work that you enjoy, work that you look forward to doing, that inspires you, that has meaning to you. Whether this is starting your own business, or businesses providing products or services that help others or solve problems, producing wonderful art in some way that can bring joy, or simply finding a business that has a vision and purpose and service that you believe in. Now match that with a solid financially savvy lifestyle and set of principles, continue learning as much as you can about investing(buying real estate, stocks and managing a successful portfolio, etc..) and get to your number by the time you want to, so that you are financially independent of working for money. To me, the topic of finance and your financial situation, financial health, wealth, reaching your number, etc.. are completely separate from your “work” or your “purpose”. Even though your work or your purpose can be extremely profitable and get you to your number faster. Then you can choose to still do your life’s work, whether that be still working for a company, running or OWNING your own business, or if you’re not happy with that, leave that company, sell your business or businesses if you don’t want to do that anymore(if they don’t match your life’s purpose, and if the timing is right to profit the highest from the sale of your business) and go on to your life’s purpose or life’s work/service that you believe in and that inspires you. A wise man once said: “There’s nothing wrong with retirement, so long as it doesn’t get in the way of your life’s work”. @ Scott – For me, Scott, my “work” and “purpose” were not the same … I saw my work as a means to an end i.e. to get that bucket of money that would free me (by removing time/money obstacles) to finally begin living my purpose.
. The vast majority of the population would not be able to afford a hot-dog for dinner standard of living after inflation and taxes take their cut. The maths doesn’t work.
. And if the maths do work, then you’re likely to be a ambitious, innovative and hard-working person. One week into your retirement you’ll be so bored you’ll want to start renovating houses or something. What retirement really is: a worst-case scenario insurance in case you’re unable to work. Better to find things you enjoy to make a living, and taking saved-for sabbaticals throughout life. Why sacrifice your healthiest years as a slave to the machine, when it’s the best time to enjoy life? @ Nathan – Why not, indeed? Good advice! Almost 2 years ago (on my 40th b-day)…when I got my hours down to less than 5 hours/week. I had a pseudo-retirement party and officially stepped down from my company. At this stage, my staff know that they can always contact me. However, I am only available on MY schedule so they must plan/schedule at least a week (preferably more) in advance if they are going to need my help. @ Glenn – Sounds good; in fact, I’ve done the exact same thing with one of my companies for the last 7 to 10 years. I created a number many years ago. It was ZAR 50 000 000 (I’m South African). As soon as I would reach that number, I was going to “retire.” Only about three years ago (after 20 years of failing to reach that number) did I think to myself what the definition of “retire” was going to be. I realized, that I simply wanted to be free to do the things I love, and, as mentioned in comments before mine – to live out what I consider to be my life’s purpose. I then asked myself whether there was a way in which I could start doing those things now, rather than wait until I eventually reach my number. It so turned out that there was – it just took some really hard out of the box thinking to find it. It also so turned out (and I believe it’s more than just chance – it has to do with our chances of success increasing when we do what we love and are passionate about) that within a relatively short time, I was earning (in real terms – I moved to a much cheaper country in the process) much more than I had been, when doing what I hated in order to make the money to one day do what I love. @ AshtonFourie – I think I agree: anybody who is living their Life’s Purpose (http://www.shareyournumber.com) is doing EXACTLY what this blog is all about! The only tiny, itsy-bitsy concern that I have is what happens if you can no longer do this work for some reason (e.g. illness, change of gov’t regulation, scandal, etc.)? Or, are these risks so small and/or easily manageable (e.g. insurance) as to be effectively in the realm of Force Majeure, hence, to be ignored for all practical purposes? Adrian wrote: “1. If you are retired, you don’t need the money – you just do stuff for fun. I agree wholeheartedly that this is the essence of the dichotomy. 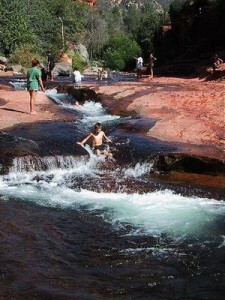 I think the lady in Sedona may have been working, not for the money, but the socialization. My parents are retired with a $50k a year pension, a few million dollars in the bank, but both like to keep busy. My dad reviews patent filings as a side business / hobby, without this I think his massive brain will start to go stir crazy and turn inward. My mother likes to volunteer or get paid for part time work related to gardening / landscaping.